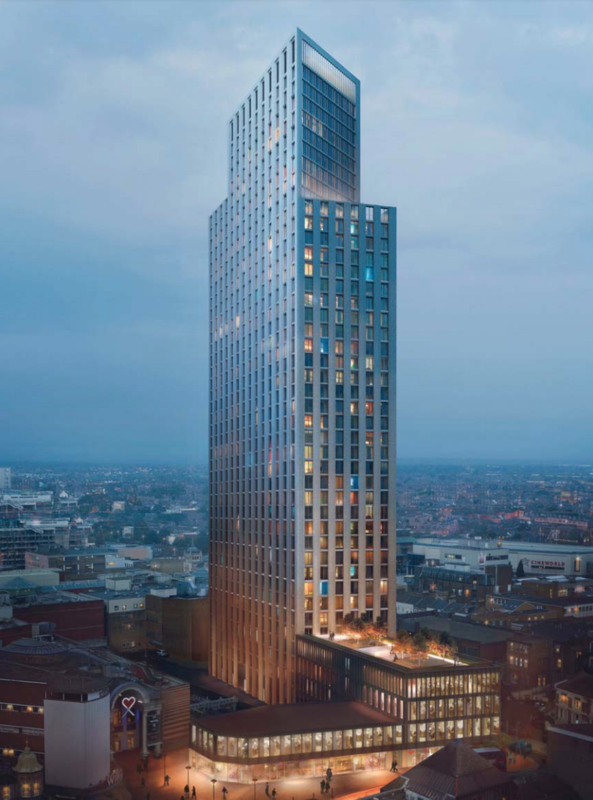 Plans have been submitted for a landmark private rental residential tower in East London’s Ilford town centre. Storage specialist Access Self Storage is planning to redevelop a former Bodgers discount store with the 380-flat high rise. 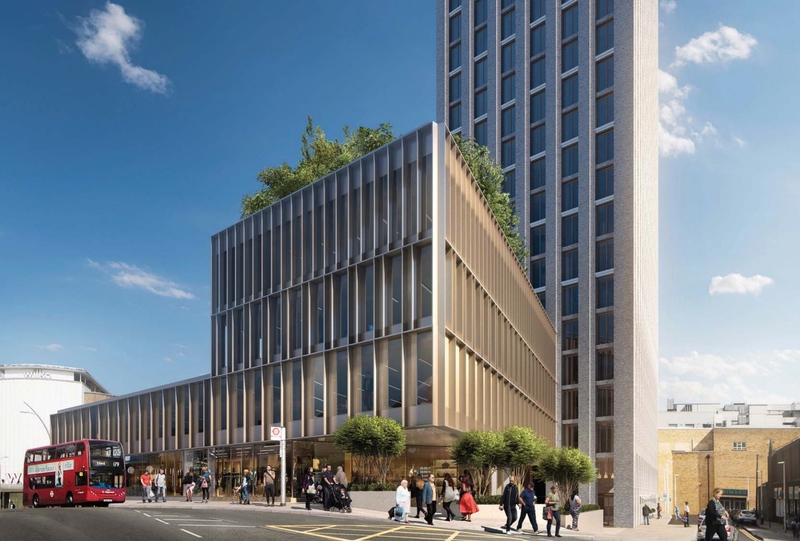 According to planning documents just submitted to the London Borough of Redbridge, Skanska is on board as preferred contractor to deliver the project. The scheme follows the storage business setting up a new brand to bring forward a wide portfolio of private rented scheme across London that will be retained as long-term assets. 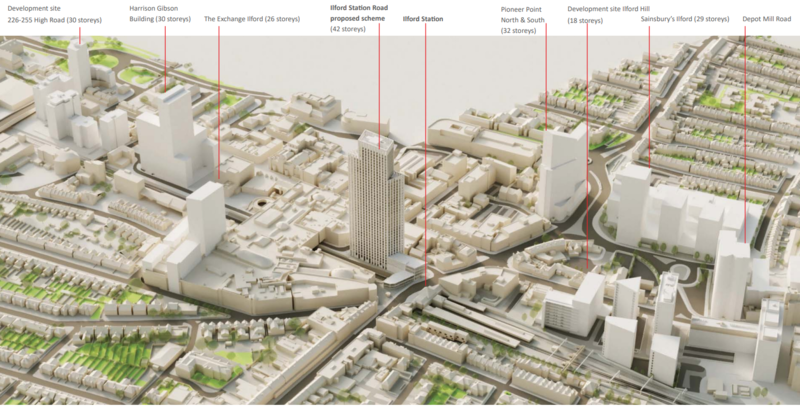 The station road site sits opposite the new Crossrail Elizabeth Line station opening up the potential for the residential complex with two smaller podium buildings of offices and shops. Access Self Storage is linking the new plan to a recent application to redevelop the Ilford Recorder newspaper building with a further 144 homes. Together the two plans will deliver 520 homes of which a third will be affordable homes. The One Station Road scheme has been designed by ColladoCollins with Curtins providing structural design and Hilson Morran M&E design. The facade of the building will be brick clad with sky terraces on levels 32 and 37 where the building is cutback. This aims to make Ilford a London town again harnessing the benefits of Crossrail, building 6,000 new homes.